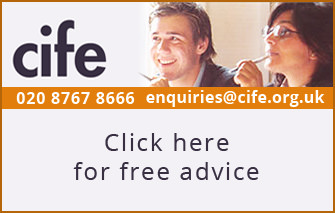 Home » Advice » Articles » What happens on A Level results day? August is a nervous month for A level students. While others are enjoying seemingly endless and carefree summer days, they – you – might be anxiously counting down the hours to results day. This article advises on exactly what happens on A level results day, how to find out if things have gone according to plan, and what to do if you have a problem. Just click on the + at the start of the orange boxes to show more information. Click - to close the box. A level results day always falls on a Thursday around the middle of August. Every school and college has its own system for releasing students’ A level results, but you should be able to get your results from around 9 am or perhaps a little earlier. 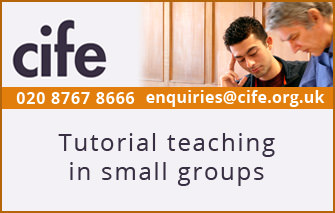 If your results aren’t quite what you expected then it is vital that you have easy access to the internet and a phone. It is also wise to make sure that you are at home so that your family and school advisers are within easy reach if you need their help. So, unexciting as it may sound, you need to ensure that you are not on a distant beach on A level results day! When do my Universities get my A Level results and make their decisions? Universities actually receive your A level results via UCAS (and the exam boards) earlier than your schools: this is to give them time to make admissions decisions, particularly in relation to students who have narrowly missed their grades. If you haven’t met your A level requirements, it’s a bit of a numbers game if your university will still accept you – circumstances change from year to year and numerous factors may influence their decision. For example, more students than they expected might have missed their grades, which would make them more flexible if you’re one of those who have just missed out. Other things like changes to student finance, university funding or the total number of applicants in any given year may also tilt the situation. What is absolutely certain though, is that if you meet the A level grade requirements of your conditional university offer you have secured your place. Congratulations! What happens on UCAS Track on A Level results day? UCAS Track normally opens at around 8 am and students are then able to log in and check the status of their offers. UCAS Track should tell you whether you are confirmed at your firm choice, your insurance choice or whether you have been unsuccessful. If decisions are not showing, your universities may be missing some of your results so it is important to call them and find out what the situation is. Because UCAS Track opens quite early in the morning, students sometimes know the outcome of their university applications before they get their A level results. Even if you get fabulous news and are confirmed at your dream university, make sure that you check your A level results too: sometimes students don’t realise they have slipped a grade but been accepted anyway, and can then be a bit disappointed by their actual results! Should I put in for A Level remarks if I have been rejected by my University? If you have been unsuccessful but have only narrowly missed the grade(s) required for your conditional offer, you may decide to ask for a remark. Universities should, in theory, reverse their decisions if that remark leads to a grade increase that means you have in fact met their entry requirements. However, A level remark grades must come through before the end of August so it is critical that you discuss remarks with your UCAS adviser/ school exams officer as an absolute priority. Also, make sure that you inform your university that you are awaiting the outcome of A level remarks. 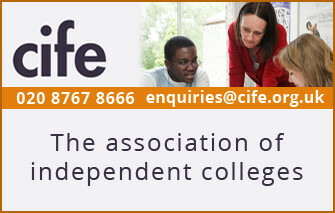 Read more CIFE advice on the pros and cons of getting a remark on an A level exam. What happens in Clearing on A Level results day? Let’s imagine it’s just after nine in the morning of A level results day and you haven’t got into either of your firm or insurance choice universities. This is when it’s incredibly important that you pick yourself up, dust yourself off and spring into action! This also might be the time you need to rely on the people around you to give you some emotional support: it is a fast-moving situation and if you have the confidence you’ll be amazed what can be achieved in the next few hours. That’s especially true if you already had the feeling that you might miss your grades, in which case hopefully you’ll have done some preparation. If that’s the case for you then before results day go onto the UCAS Clearing listings and have a look at what’s already available. However, the full Clearing listings don’t go live until the morning of A level results day, so make sure you check again for other courses that might have been added. So now it’s about 9.30 on results morning. You’ve had a cup of tea, an emotional moment or two, and you’re ready to find yourself a place at uni. There are two main ways to find a place. The first is to go to the UCAS Clearing listings which will list available places by degree course. The second is to go directly to the websites of universities you are interested in to see what they have available. Do some thorough research and start to build up a list of options. Be ambitious with a few choices, and don’t be afraid to try universities that normally offer two or three grades higher: the worst that can happen is that they decide not to make you an offer so it really is worth a try. Once you’ve got your list, you need to start calling the university Clearing hotlines. You’ll also need to brace yourself: you’re likely to be on hold quite a bit this morning. So while you’re waiting to speak to someone run over any selling points you have which demonstrate your interest in the course, or be ready to explain any mitigating circumstances that affected your grades. Right, it’s now about lunchtime, and if you’ve kept your energy and enthusiasm up it is likely that you will have been rewarded by several Clearing offers. You are allowed to obtain as many offers as you like in Clearing, but remember that you can only accept one course on UCAS Track – you are then committed to that choice. It’s therefore actually a blessing that you are not able to enter a Clearing choice into UCAS Track until a bit later in the afternoon. Take a big breath, pause, and consider whether any of the course offers you have are really right for you. Where is the university and do you really want to live there? Are you excited by the degree course and options available? Is your Clearing choice going to cost more than you had planned? Can you really see yourself doing this for the next three years?! The reality is you need to enjoy your course and be interested in it if you are going to see it through and be successful. Make sure you speak to school advisers, family and friends before you jump off the deep end. It’s tea-time and you’ve just added your Clearing choice to UCAS Track using the details the university have given you over the phone. You click… Congratulations. You are going to university. 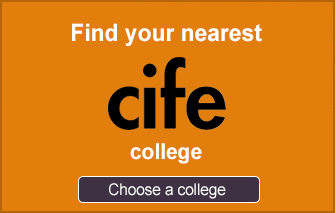 Should I consider A Level Retakes instead of taking a University place in Clearing? As discussed above, if you have found a university place in Clearing, you really do need to be sure it is the right course for you, and that it will get you where you want to be in the future. The other issue is that certain universities, particularly the highest ranking Russell Group universities, do not enter Clearing. In addition, some competitive degree courses are rarely or never found in Clearing, the most obvious being Medicine, but also courses like Law and English Literature may be few and far between (and if they are available they may be joint degrees combined with unusual options that might not be for you). 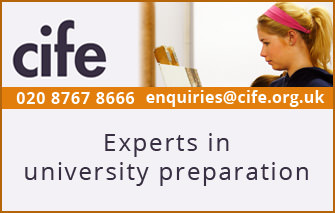 Another consideration is that you may feel going to a prestigious university will help advance your career prospects. If so, resitting your A levels may well be the best way forward. Many students also use a retake year as an opportunity to add to their work experience or develop their skills. Many of our own students who retake say that in fact the extra year acts as fantastic preparation for university and that they have really gained in confidence. Also, as a rule of thumb, your A level grades are of interest to employers for roughly the first ten years of your working life. After that, prospective employers are more likely to be interested in either your studies at degree level or the work experience you have gained. Many students therefore decide that A level retakes are of benefit not only in terms of enabling them to get on to a better degree course, but also in terms of enhancing their CV. Indeed, some students decide to retake to improve an A level grade while doing their degree course so they can polish up their curriculum vitae. Many options are therefore open to you, and whatever happens on A level results day it is important to be clear-headed, positive, ambitious, and prepared. 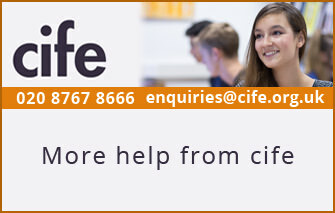 And if you’re still worried about it all then remember, CIFE, the sixth-form experts, are here to help.